As a freshman, Rayna DuBose came off the bench to score 13 points in Virginia Tech’s win over the University of Vermont at the 2002 National Invitational Tournament. The young athlete had nowhere to go but up, and eyes were fixed on her as her basketball career began to take shape. But in April of that year, Rayna went toe-to-toe with the toughest opponent of her young life—not on the gym floor. This foe attacked from within, infiltrating her bloodstream with bacterial meningitis and sepsis. It was touch and go, and Rayna would have died had it not been for a discovery by OMRF’s Drs. Charles Esmon and Fletcher Taylor. Read about Rayna’s struggle with sepsis and the OMRF-born drug that saved her life here. By the time doctors gave her condition a name, Sandy Roark had grown almost too tired to care. Just standing or walking a few feet would put her in bed for hours or days. She had forgotten what it was like to feel good. When Sandy was diagnosed with paroxysmal nocturnal hemoglobuinuria, or PNH, an incurable blood disorder, the disease had robbed her of all her energy and put her at risk for developing deadly blood clots. She later learned that, if untreated, PNH might take her life, as well. She thought her life was over. But Sandy’s story had a happy ending, thanks to a one-of-a-kind medication developed by two OMRF researchers. Sandy’s story unfolds here. Every April 20, Greg Watkins celebrates his birthday. It’s not the day he was born, but it’s the day he got his life back. Greg considered himself a “running addict” and always kept himself in tip-top shape. But 12 years ago, he came face to face with a disease that stopped him in his tracks. His symptoms began when he noticed blood in his urine, and before long chest pains made him think he was headed for a heart attack. Instead, his doctor told him he was having esophageal spasms due to paroxysmal nocturnal hemoglobuinuria, or PNH, a rare blood disease with no cure. Greg’s life changed completely. He was unable to work. The steroids he took caused his weight to balloon to 250 pounds. But on that day—April 20, 2007—his doctor gave him a new medication developed from OMRF research called Soliris and soon, he was on the road to recovery. Read more of Greg’s story here. You may never have heard of sepsis. Meagan McLain hadn’t. But it nearly took the life of the University of Central Oklahoma student. If not for a drug called Xigris developed from discoveries made at OMRF, Meagan would have died of sepsis at age 21. The disease occurs when the body’s infection-fighting mechanism goes into overdrive, making the blood-clotting system malfunction and organ systems fail. A commonplace infection went out of control in Meagan’s bloodstream, and doctors raced to get ahead of her disease. She can’t remember specifics of her battle with sepsis, because she was unconscious for two weeks. Still, Meagan knows she’s lucky to be alive. She tells her story here. 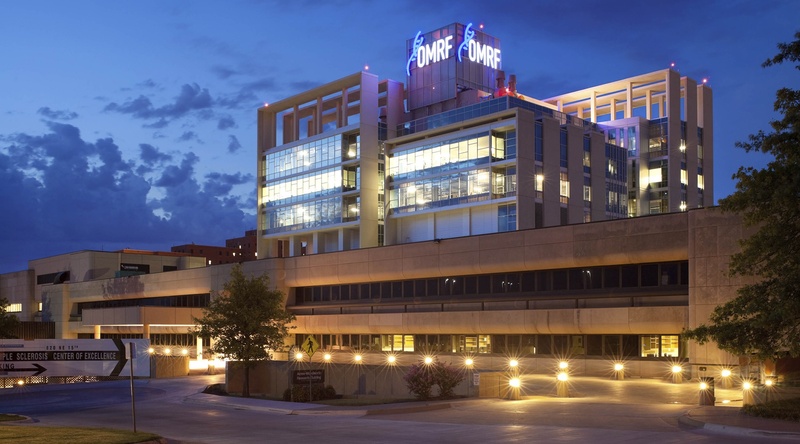 For years, Jeanne Morgan worked as a clinical psychologist just a stone’s throw from OMRF. When she found herself too sick to go to work one Friday, she knew something was very wrong. As it turned out, the tiredness that she chalked up to the flu nearly took her life. Morgan had developed severe sepsis, and in one short weekend it overtook her entire body. One by one, her organs began shutting down. Even her physician husband stood helpless as friends and family prepared for her life to end. Luckily, Morgan’s doctors decided to try Xigris, a new drug for treating severe sepsis that was developed at OMRF by Drs. Charles Esmon and Fletcher Taylor. Read Jeanne’s interview here.